It’s been fifty years since the first woman in history took off in a tiny Soviet space capsule to spend three days in orbit. Being officially hailed alongside Yuri Gagarin as a symbol of USSR’s victory in the space race and referred to by many in the West as a proof that Russia is more open to opportunities for women, Valentina Tereskhova remains a contradictory hero. In eastern European media, many astonishing accounts -of limited reliability – detailing her flight can be found, stating that Valentina experienced severe mental break-down during her flight, cried the whole time and didn’t perform most of the tasks she was expected to. According to those accounts, upon Valentina’s return, the chief designer of the soviet space program Sergei Korolev, who had reportedly never been particularly fond of female space flight and was only pushed to send Valentina up by the Communist party leader Nikita Khrushchev, swore he would never ever send another woman to space. And he actually never did. Valentina Tereskhova might have been a controversial hero but she definitely became a role model. Whether these accounts are just a bunch of gossip or an accurate description probably doesn’t matter. Valentina Thereskhova prefers to stay away from the media scrutiny and rarely gives interviews, focusing on a political career instead. The team of five female soviet astronaut trainees who were preparing for the mission alongside her was disassembled and it took a whole 19 years before Soviets decided to allow another woman into space. Despite being far less known by the general public than the legendary first ‘space girl’ Valentina, Svetlana Savistskaya is said to have far outperformed not only Thereskhova, but also many men. The first American astronaut, Sally Ride, flew to space on Space Shuttle Challenger shortly after Savitskaya. 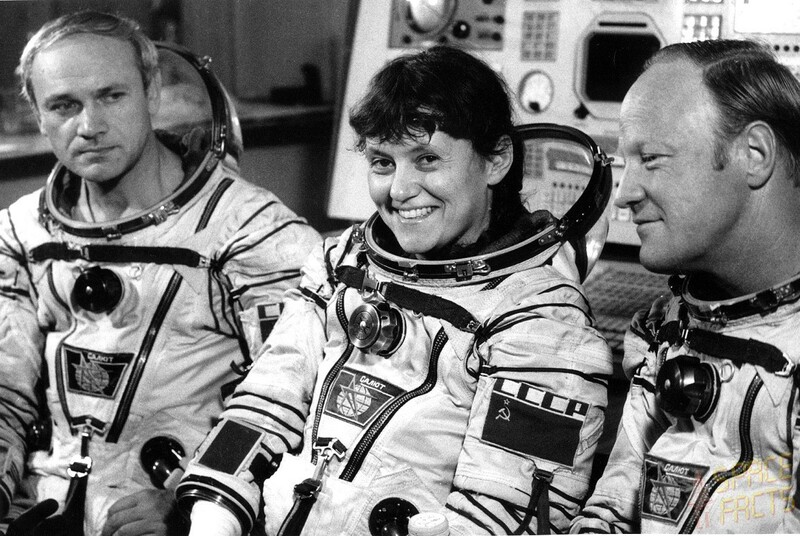 Svetlana Savitskaya was a real success, she became the first woman to perform a space walk and she flew to orbit twice. “I believe that all anniversaries of those early space pioneers have to be honored,” says Samantha Cristoforetti, a current European astronaut trainee. “These people were in a very different situation than we are today, they didn’t know at all what they would encounter, how the body would react to space and how the space ship would behave. So obviously, Valentina Thereskhova, besides being the first female, she was also one of the very first people, one of the first pioneers in space,” she says. Samantha Cristoforetti is a multilingual military pilot, aerospace engineer and a current ESA astronaut trainee (Credits: ESA). Unlike Valentina, who had been a rather uneducated textile factory worker before being propelled to international stardom as the first woman in space, Samantha is a multilingual fighter pilot and an aerospace engineer with degrees from several international universities. 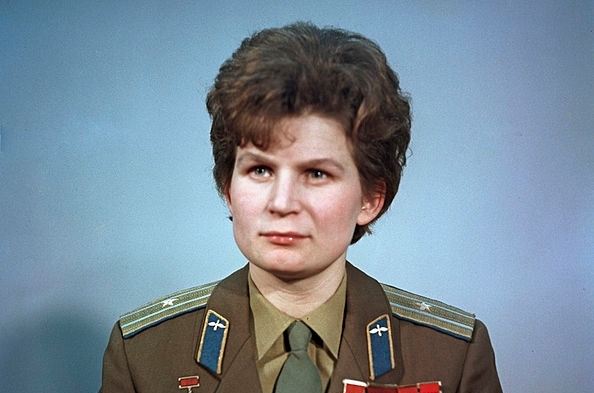 Whereas Valentina had been selected in a rather rushed procedure powered by the need of USSR’s leaders to triumph over the USA once again and her only previous experience relating to aerospace had been in skydiving, Samantha was the only woman who succeeded in the last ESA selection in 2009, and was chosen together with 5 men out of 8000 highly qualified applicants. “As most astronauts, I have been dreaming about going to space ever since I was a kid and I was fortunate that I have developed towards a more mature interest in technology and science and also in flying. 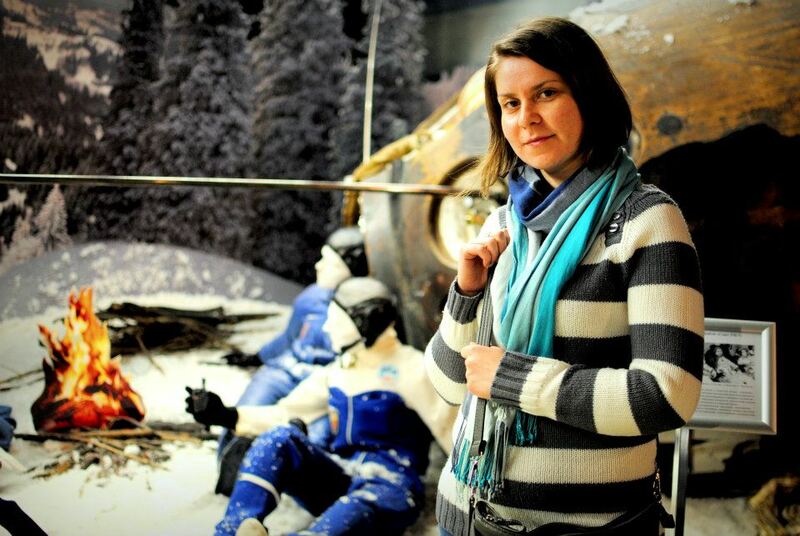 So I ended up studying aerospace engineering and then, when it became possible in Italy for women to join the military, I joined the airforce and I became a military pilot,” says the 36-year old superwoman who has recently returned to the European Astronaut Centre in Cologne, Germany, after a three-week training in NASA’s Johnson Space Center in Houston. 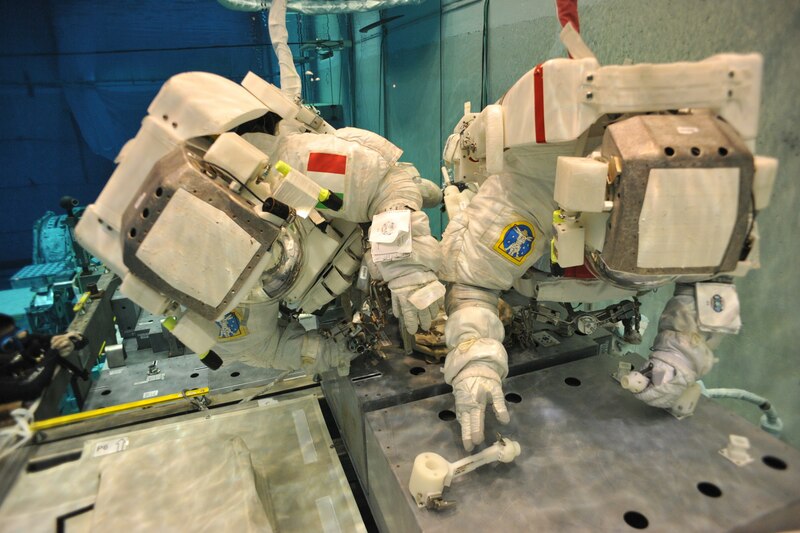 Samantha training in the pool (Credits: NASA). Listening to Samantha cherishing her experience in the space community, one would say it is all plain sailing for women who want to achieve in aerospace related disciplines. But let’s have a look at some statistics. According to the March 2013 special report published in Nature, there are not only considerably fewer women in science and engineering disciplines but they are also paid less, they need to work harder to achieve the same as men, and make bigger sacrifices. They also give up more often than their male counterparts. Many people have commented on this phenomenon. Some blame the omnipresent cultural stereotypes that push girls towards believing that technical disciplines are simply not for them. Others promote quite daringly an opinion that women might not be as biologically well-equipped for certain tasks as men. In 2006, Lawrence Summers, then-president of Harvard University, actually lost his job after publicly posing such a question in an attempt to explain the general lack of women in physics and math. “In Romania, where I come from, there is this general presumption that girls are supposed to be good at humanities and talented in languages, while boys have this natural knack for technical things, but I don’t think that’s true,” says Adina Cotuna, a 27-year-old aerospace engineer, currently gaining experience as a Young Graduate Trainee at ESA’s Space Research and Technology Centre in The Netherlands. Aerospace engineer Adina Cotuna is one of the first Romanian Young Graduate Trainees in ESA (Credits: Shripathy Hadigal). She admits that there being only five of them, the girls in her class at the Faculty of Aerospace Engineering at the Technical University in Bucarest probably had to work harder at the beginning to prove they deserved to be there. But then, she says, it’s mostly about your skills and the work you do. “You have to show them, that you can think clearly and do the job, that you have something to say. For example here in ESA, it’s all very fair and everyone treats you according to your performance and that’s it,” says Adina, who showed up for our Skype interview at almost 10 pm, after a very challenging week she had spent at ESA’s concurrent design facility with a team assessing the feasibility of a new mission. In fact, she says, it was not her gender that was difficult to overcome on her way towards international experience in aerospace. Coming from a little town in one of the EU’s poorest member states, she said money was the biggest obstacle in her way. “When you are eastern European, it’s always about whether you can afford to go to some international university, whether your parents can afford to support you,” she says. So again, what’s all that gender fuss about, is it just an unfortunate coincidence that there are so few women in engineering and science? Simonetta di Pippo was the first woman in the history of ESA to be appointed as a head of one of the agency’s eleven directorates. In 2008, the graduated astrophysicist who had been involved in the Italian space program since the 1980’s, became ESA’s director for Human Space Flight. She stepped down after three years, leaving the male-female ratio in ESA’s leadership 10 -1, with only one woman, Magali Vaissiere, serving on the board of ESA directors today. 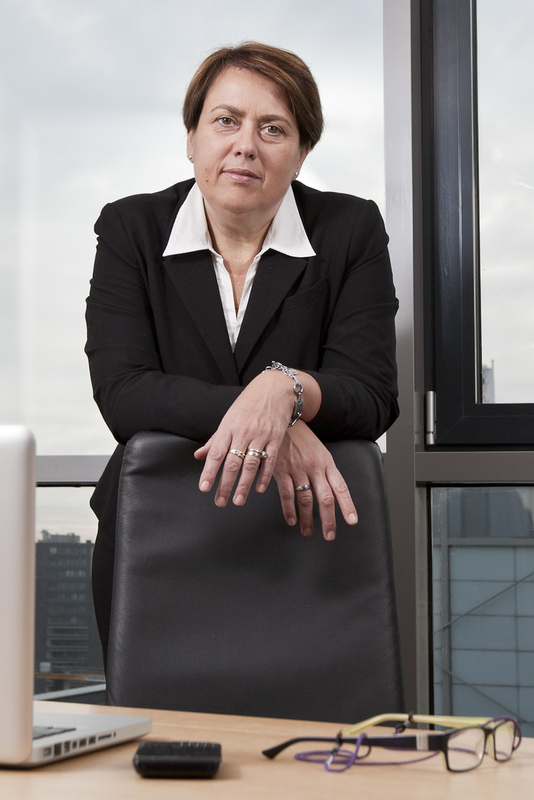 “A young female talent encounters several potential career stoppers in her way, but the two main critical points are when she has to start her career and when she is reaching higher levels in the organization but never enough to get to the top,” Simonetta says about the glass ceiling she believes exists in the sector, taking the statistics as evidence. Simonetta di Pippo became the first woman to serve as an ESA director. Both women believe that the fact that women tend to approach tasks differently compared to their male counterparts can make them look suspicious in a male-dominated team. At the same time, they say, approaching things differently, in fact, might be an advantage. “Flexibility, broad understanding, deep analysis, cooperation instead of competition, hard work, details, accomplishment of objectives in the interest of the collective and not for personal visibility and power: these are the characteristics we would like to see in a good manager and leader. Most of these characteristics can be easily found in a boss of female gender,” Simonetta believes. When it comes to the question of why there are so few women in technical fields, both ladies simply reject the idea suggested by the former Harvard University dean. However, they believe the power of society might play a role. “If you are a female engineer, you might feel that you are not feminine enough because you are in a very male profession. People around you and the society might say that engineering is not a very feminine thing as a profession, even though you might not believe it,” Artemis says. The importance of encouraging the interest of children and young people, regardless of their gender, in STEM disciplines has been recently widely discussed. For some reason, compared to other fields, STEMs tend to attract a progressively decreasing number of students. Simonetta believes that not being discriminating when it comes to opening opportunities in such fields to both genders might empower nations to better achievements. “We should have a look at what is happening worldwide and which countries are better in having a proper representation of both men and women in key positions. The countries which are better on this, these are the countries which are in pole position to take the world leadership in the near future. The answer is easy: China! From recent news, we see that women now take up 51 percent of top management positions in Chinese mainland companies, the highest such ratio worldwide, the global average being 24 percent,” says Simonetta. And if you have a look at the Chinese space program and its observable tendency to put female astronauts on missions regularly since the early years of the country’s manned flights, one has to admit that Simonetta might be right. 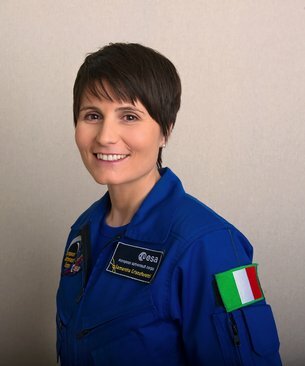 At the end of the day, it doesn’t really matter how well or poorly Valentina Thereskhova performed during her mission, the important thing is that she became a role model – the one who can inspire little girls to aspire to ambitious goals, such as those of women like Samantha Cristoforetti. Space Safety Magazine would like to thank the women who agreed to be interviewed for this piece. Their opinions are reflective of their own views, not necessarily the official positions of the organizations in which they are involved.